EPICentre provides programs and services that are intended to help students and recent graduates start and grow their businesses. Please see all of the programs offered below. Please note, all programs and services are FREE for students and recent graduates. Are you interested in receiving FREE business consulting for your start-up? If so, please fill out the intake form below to be considered as a client for our upper-year business consulting course. Projects worked on in the past include marketing strategies, feasibility analyses, business model development, as well as general business plan advice and guidance. Please direct the intake form and all questions to Dr. Francine Schlosser: fschloss@uwindsor.ca Download: CLIENT INTAKE FORM If you are interested in joining the business consulting class as a student consultant, please contact Dr. Francine Schlosser: fschlosser@uwindsor.ca or Professor Jim Marsh: marsh@uwindsor.ca for more information. The Law, Technology and Entrepreneurship Clinic at the Faculty of Law offers a wide range of consulting services to help you develop your business. Contact us for further information. 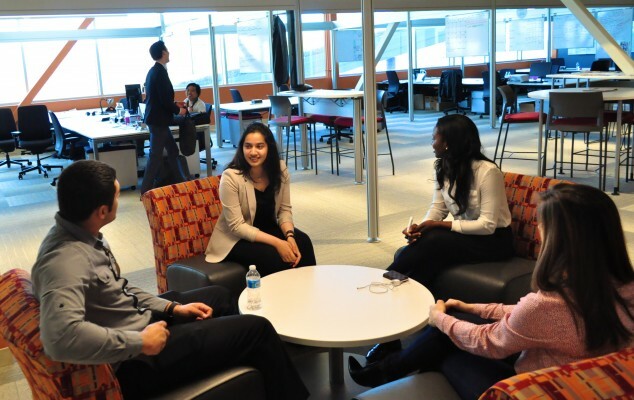 EPICentre helps student startups attend Venture Competitions across the globe! If you are interested in applying for any of these competitions, please contact Nicole Anderson: nsleiman@uwindsor.ca.